The classic pickup 80s American truck isn't often found in excellent condition because they are such good vehicles for hauling/dragging/moving your junk and they are cheap enough that people usually don't keep them in "show condition". However, this next example was clearly pampered and in nice shape. 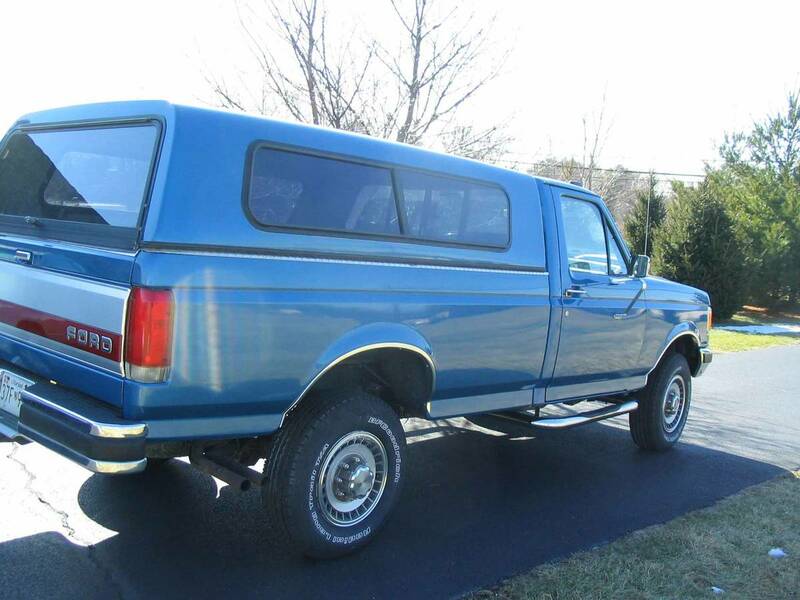 Find this 1989 Ford F-250 4XD XLT Lariat offered for $6900 in Hagerstown, MD via craigslist. 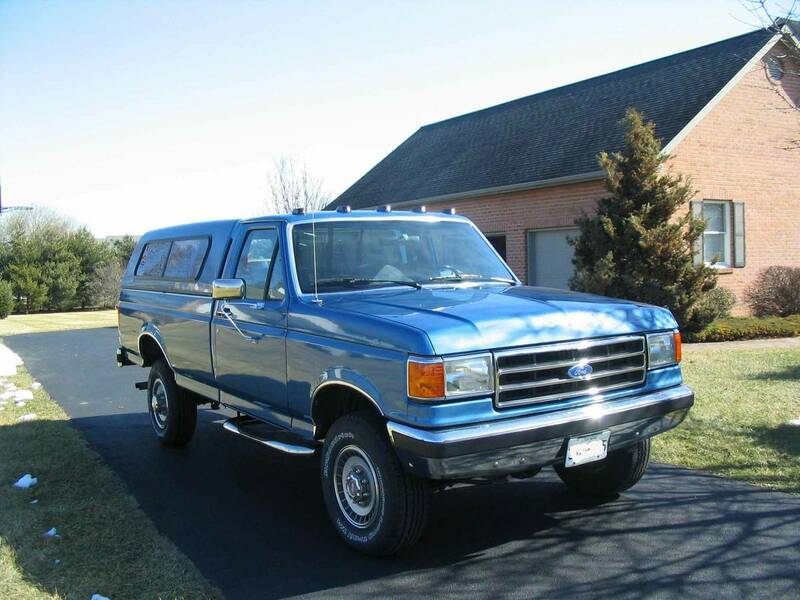 Tip from Jeff S.
Beautiful classic Ford F-250 XLT Lariat with low miles, 4WD, and a 460 V8. Comes with matching cap. One owner family, no accidents, I have the CARFAX. Pretty truck, but not for $6,900... you can easily pick up a nice one for two thousand bucks, here in Oregon. When I saw this post, I wondered what was so special about this truck. Did it have a jet engine in the back or something? Even at this price, still probably cheaper than the sales tax on an equivalent new version. And you might be able to keep this one going nearly forever. But I am intrigued by @JeffZekas claim to be able to find these much cheaper. Here in Central Canada they are all rusted to nothing. Yeah, I call BS on being able to find something similar for 2k. This would be a great work truck if it was an automatic, even with hideous mileage. This is NO "$2,000 truck" you're gonna find anywhere these days! Hell, a good running, driving, beater POS is hard to find in any condition! For a gas truck, this is reasonably priced, from all appearances. @jeffzekas - I'd love to see some links to these $2K trucks in Oregon, I'll hire a transporter today and go get them. Gorgeous rig - you rarely see ones this nice anymore and certainly not for $2K - that ship sailed years ago. Hog pile on Jeff! Lol did you guys do that when you were kids? For the uninitiated this involves everyone physically jumping on top of the persons name called out. It would certainly be more realistic to get 4-5K for this cream puff. We called it dog pile in Southwestern Washington.